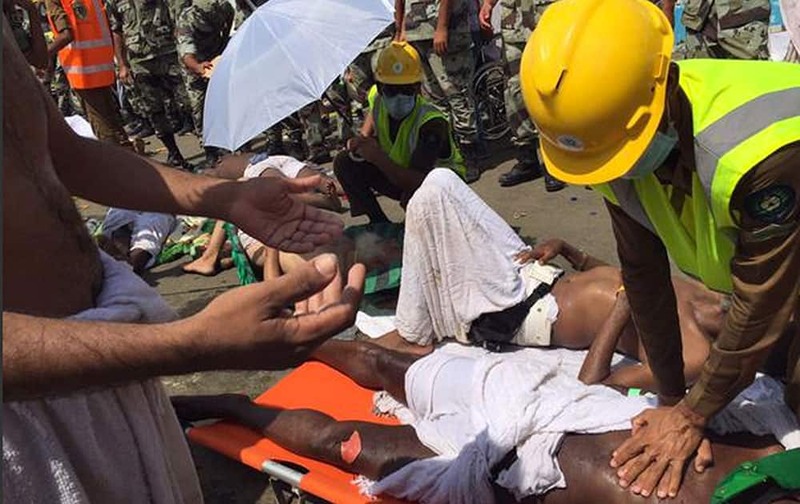 Rescue workers attend to victims of a stampede in Mina, Saudi Arabia during the annual hajj pilgrimage. Hundreds were killed and injured, Saudi authorities said. 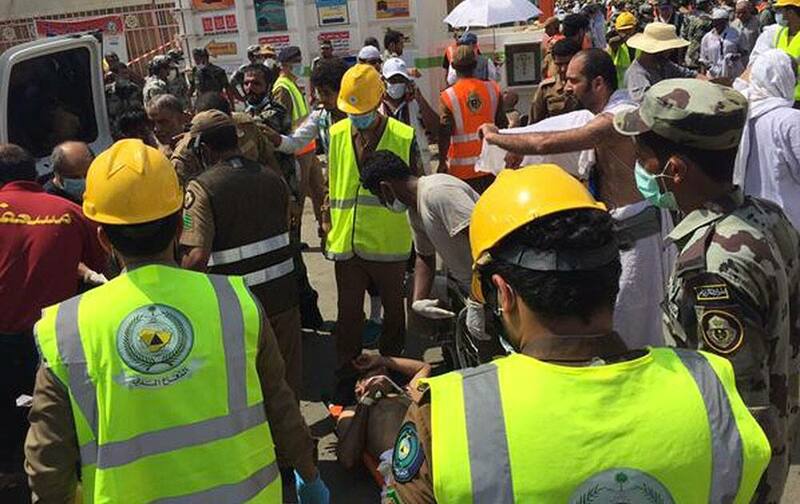 Emergency services attend to victims of a crush in Mina, Saudi Arabia during the annual hajj pilgrimage. Hundreds were killed and injured, Saudi authorities said. 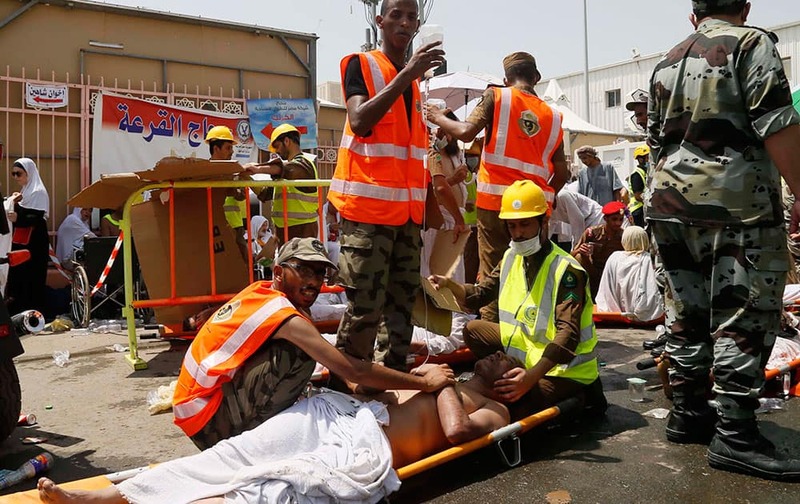 A rescue worker attends to a man injured in Mina, Saudi Arabia during the annual hajj pilgrimage. Bodies of people who died in a crush in Mina, Saudi Arabia during the annual hajj pilgrimage, are seen. 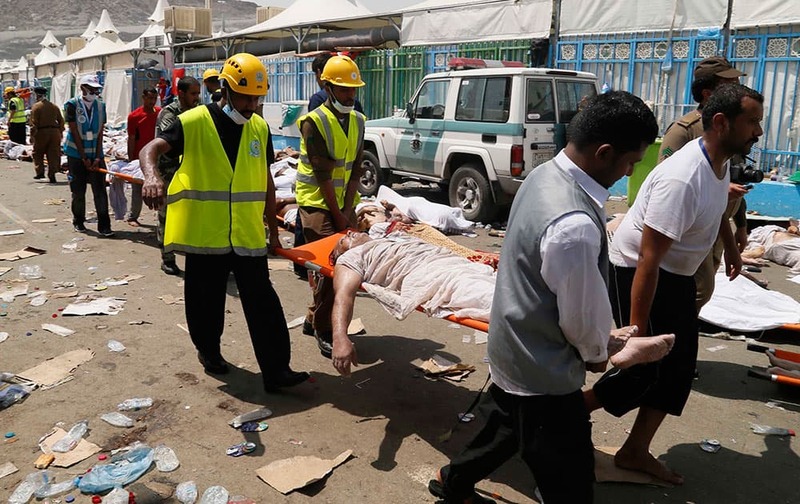 Hundreds were killed and injured, Saudi authorities said. 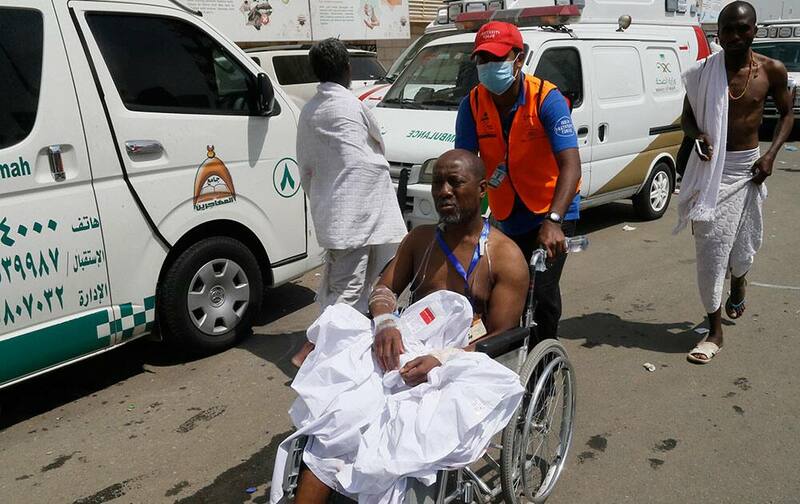 In this image posted on the official Twitter account of the directorate of the Saudi Civil Defense agency, a pilgrim is treated by a medic after a stampede that killed and injured pilgrims in the holy city of Mina during the annual hajj pilgrimage. 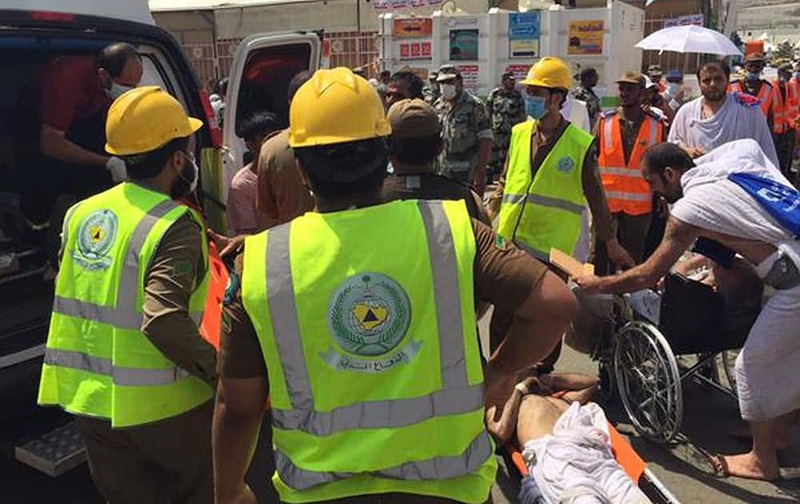 In this image posted on the official Twitter account of the directorate of the Saudi Civil Defense agency, rescuers respond to a stampede that killed and injured pilgrims in the holy city of Mina during the annual hajj pilgrimage.